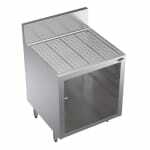 The Krowne KR-18-GSB1 is an underbar glass storage unit capable of holding up to three standard-size glass racks. 20-gauge stainless steel construction makes this model durable and corrosion-resistant. The top is embossed and has a drain, so it can serve as a drainboard, and the base of a unit has a drain that connects to a 1-inch pipe. 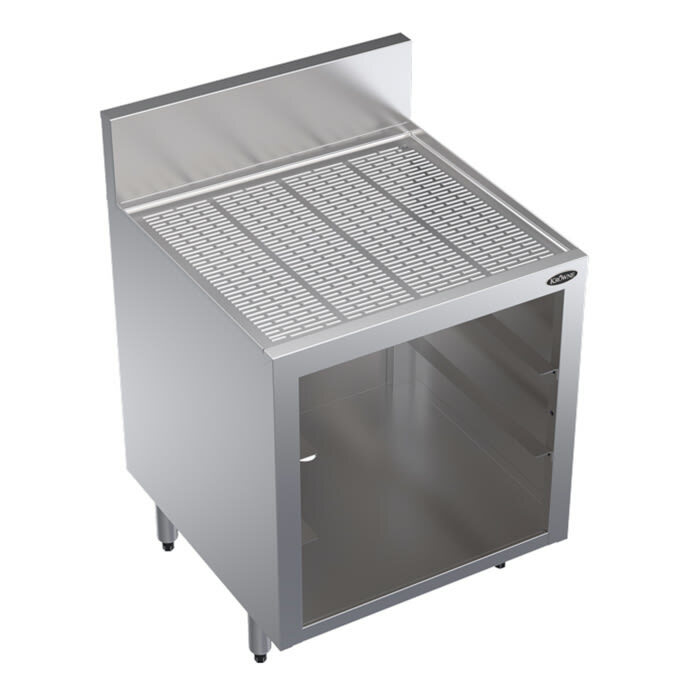 Embossed top is a stainless steel drainboard that is reinforced by braces every 6-in.